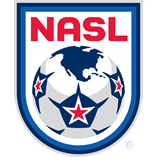 The Fort Lauderdale Strikers revealed thursday the club’s cast of goalkeepers for the 2016 season. 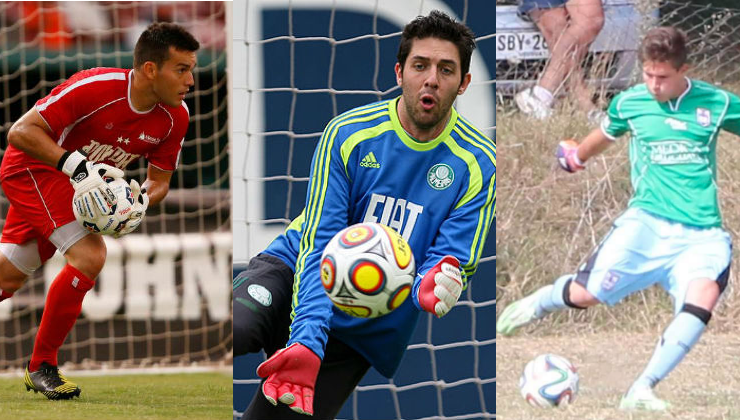 Brazilian Série A veteran Bruno Cardoso, former Tampa Bay Rowdies shot-stopper Diego Restrepo, and 17-year-old Weston native Matias Reynares have all put pen to paper on contracts with the Strikers. Highlighting the list of goalkeepers is Bruno Cardoso, who ends an 18-year career at Brazilian side Palmeiras to sign in Fort Lauderdale. He participated in the top two divisions of Brazilian soccer, as well as in the Copa Libertadores and Copa Sudamericana. The 31-year-old will be referred to by his first name and sport the No. 1 on his jersey. Bruno got his start with Palmeiras in 1997 at the under-13 level, and signed his first professional contract at the age of 16 in 2000. That same year he was called up to represent Brazil’s U-17 national team. Apart from two loan spells, Bruno has been with Palmeiras his entire career. His trophy cabinet with Palmeiras includes the São Paulo State Championship in 2008, and recognition as the best goalkeeper of the tournament as Palmeiras claimed the Copa do Brasil in 2012. Bruno was also part of the Palmeiras side that won the Série B title in 2013. The São Paulo native gained promotion to the first division in each of his loan spells away from Palmeiras. The first was with Série B champion Portuguesa in 2011, and again with Santa Cruz as runner-up in 2015. Diego Restrepo, 27, joins the Strikers from Venezuelan Primera División side Metropolitanos FC, where he played 12 matches in 2015. Restrepo suited up for USL expansion side Charlotte Independence earlier in the year following two seasons with Tampa Bay Rowdies. Restrepo joined the Rowdies in 2013, and made 23 NASL appearances in his first season with the club, earning league recognition as Player of the Week three times. An Achilles tendon injury suffered in the Rowdies’ 2014 preseason kept Restrepo out of action for the entire season. The Venezuelan-born goalkeeper grew up in Colombia and moved to South Florida aged 11. Restrepo played at American Heritage School, and later IMG Soccer Academy in Bradenton, Fla. He represented the United States at the U-17 level, and took part in the 2005 FIFA U-17 World Cup in Peru. Restrepo played college soccer at the University of South Florida and the University of Virginia before signing with América de Cali in 2011 and Deportivo Táchira in 2012. The signings of Bruno and Restrepo are pending clearance of an International Transfer Certificate. Signing his first professional contract is 17-year-old goalkeeper Matias Reynares. Argentine-born Reynares grew up in South Florida, and at the age of 14, left Weston FC to join Defensor Sporting in Uruguay. He spent three years with the Montevideo-based club before returning home to turn professional with the Strikers. Reynares is the youngest player to sign for the Fort Lauderdale in the NASL Modern Era (2011-present).